"made me move my luggage"
✅ Trip Verified | Seattle to Manila via Taipei. They made me move my luggage around so a carry on could weigh 2 kg less. They ruined my flight, experience, and I will never give them my money again. They have lost a customer. Not Verified | San Francisco to Hanoi via Taipei. I'm glad I was able to check out EVA because Cathay disappointed me (review to follow). Check-in was pretty standard. It took a while because the person who checked us in was new. How did I know? Her name bar said "in training". The company decided it would be more fun to have passengers ask her how long she has been in training instead of her name. I think its funny and just a bit irritating when people queue up near the gate door when its not their time to board yet. They block the people whose row numbers have been called. That's not the airline's fault, though. Boarding an international flight seems easier than a domestic one. People move faster and get out of the aisle faster it seems. The flight attendants were super helpful with helping with bags. They were so proactive that there was no last minute struggle for bin space. We had some guy sitting in one of our seats and with a little help translating the ground staff was quick to find his correct seat. He was in the middle seat behind us and tried to take our window. Anyone would have tried to score a window seat in an empty row! The seats had lots of leg room. But I'm short so my opinion shouldn't count. One thing that's tough about being short though. Is sometimes I cant put my feet flat on the ground unless I scoot up in the seat. This made is a little hard to sleep. But I just reclined my seat and curled up on my side and did the best I could. I also had a face to face with my tray table. The food was hit or miss. My first meal was beef. I forget what the beef came with but the other items on the tray were fruit and a green vegetable I didn't like much. The beef was really good though! For breakfast the choices were congee or omelette. Since I'm sick of airplane omelettes. I chose the congee. It was really bland. I ate the yogurt and fruit and was happy. The flight attendants on our leg from SFO to TPE were all so so nice and it makes all the difference. From TPE to HAN it was a different story. Not that the flight attendants were mean but they definitely weren't as approachable as the first leg. It seemed like they just didn't enjoy what they were doing we had a chicken and rice dish for that leg and I really enjoyed it. There was no other option and I was expecting dry chicken but they surprised me. Overall I enjoyed my first experience with EVA very much. It wasn't the best I've ever had but its hard to fly for that many hours. ✅ Trip Verified | Taipei to Phnom Penh. I have flown EVA air many times and gained many reward points with the Infinity MileageLands. I received an email stating they would expire in April, so I booked a flight for March. It seemed good, as it only cost me to pay the airport taxes ($30), other than that the flight cost was covered by the points. Though I received a confirmation code, the bad news was that I was put on a waiting list. Customer service line is really difficult, nearly impossible to get a human on the line at their customer service number 1-800-695-1188. When I finally got a representative to explain what the waiting list meant, I was told, I may be taken off at any time, but probably be notified about up to 1 week leading up to the flight. I waited, but no notifications came. Finally 2 days before the flight, I contacted the Taiwan office and was told that the flight was sold out and I would not be able to get on the flight, or even buy a ticket for the flight. So, I was left without a flight option for that day. To get a refund of the $30 tax I paid, I would have to pay a $50 cancellation fee. Their loyalty program does not work or reward at all, only served to make things difficult, cause me to book an extremely higher priced and longer duration flight. I would not recommend EVA as their loyalty program does not treat it's customers well at all. "EVA is the only real choice"
✅ Trip Verified | Bangkok to London in Premium Economy. Although the incoming flight from Taipei arrived slightly late we boarded on schedule. Seat configuration in Premium Economy is 2-4-2. My wife and I were seated in seats A and C, which gives good space. Cabin crew service was very polite although without the charm of some of the other Asian carriers. 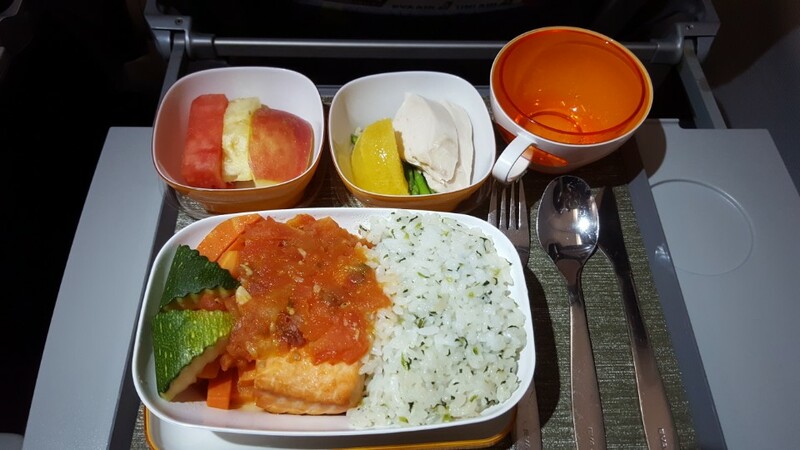 The meals served during the flights were good, we had the chicken and rice as the main course, which was tasty. Good selection of recent released films meant the 13 hour flight passed quickly. Although the flight had departed a few minutes late but because of the continuing avoidance of Pakistan Airspace we arrived in London around 25 minutes late. There was a quite a long delay for the luggage. When travelling this route in premium economy the choice is between BA and EVA, but until BA retires the near 20 year old cabins on this particular sector then EVA is the only real choice. ✅ Trip Verified | London Heathrow to Bangkok in Premium Economy. Check in at LHR T2 very quick and easy. Flight was about 20 minutes late due to the late arrival of the incoming flight due to the re-routing caused by airspace issues over Pakistan. This caused a late arrival in BKK and missed connection there but no fault of EVA Air. Seat was comfortable, I am 1.83m but no issue with legroom in premium economy. 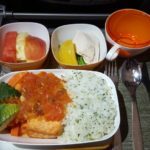 Cabin crew service was very efficient and the food was quite good, I chose the grilled chicken with noodles and it was quite tasty and moist. Drinks service is quite minimal, with small plastic cups for the wine, but not really an issue. I found the cabin a little cold for this overnight flight although the blankets provided were quite thick but a little small. Overall a good flight. Not Verified | Toronto to Brisbane via Taipei. Customer service the best ever. I had issues with my reservation (entirely my fault) and they corrected them for me with NO charge over 1 week after I booked. Then, they helped me with all sorts of logistics and related complex issues. They were patient, very courteous and helped me with each and every need. I cannot say enough about how impressed I am with this airline. I will fly EVA air for business to AU going forward. "I reported it after one week"
✅ Trip Verified | Ho Chi Minh City to San Francisco via Taipei. When my luggage arrived in Ho Chi Minh City it was damaged. After almost one hour of immigration line at SGN, I didn't want to stand in another line to report the damaged luggage so I reported it after one week when I got to SFO on my return leg. They took my complaint at SFO and informed me to email pictures, and a luggage tag once I arrived at my final destination, i.e. DFW, which I did. After some email contact, they never returned my request/inquiry and I was just dropped. I even followed up again for a final resolution but received no response. 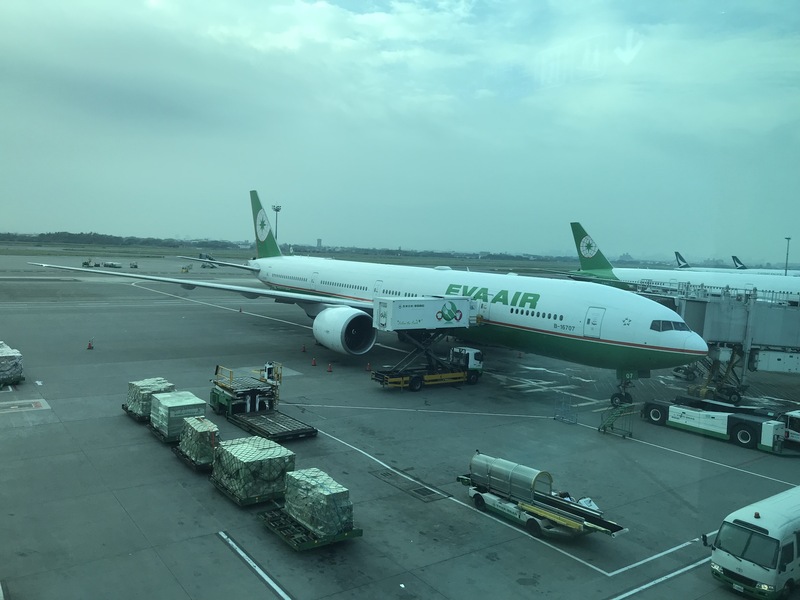 I asked for an aisle seat from Taiwan to SFO since I need to visit the lavatory often and at Ho Chi Minh City going back to San Francisco, I was confirmed an aisle seat by Eva Air staff. When I entered the cabin I was sandwiched between passengers even though I had an aisle seat confirmed. I asked the in-cabin personal to please give me an aisle seat and they couldn't accommodate. The in-cabin service was good but to ignore passengers' special requests and damaged luggage are not ok.
✅ Trip Verified | Jakarta to Houston via Taipei. 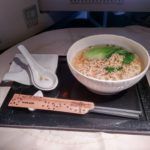 This was my 5th trip in 18 months on Eva Air and as all other times this airlines does not stop to amaze me with their service. My flight from Jakarta to Taipei has always had a tight connection to the Houston flight in Taipei, however, this time our flight leaving Jakarta left and hour and a half late. About one hour before landing, I did mention to the flight attendant that I was concerned about the connection time due to the transfer process in Taipei. I was assured that I had a 40 minute window and should be ok. We landed at 9:40 p.m. then proceeded to a 10 minute hold for waiting for a gate. This turned out to be a 20 minute gate wait, we finally were able to deplane at 10:00. I was impressed because as I was exiting the plane the flight attendant I had spoken to earlier tap me to follow her and she rushed me out the door to a waiting EVA Air employee at the gate, in short order there was a relay of EVA Air employees from one place to the other until I arrive at the Houston flight just about as they were going to close the door. To my amazement, my luggage arrived in Houston with me as well. Short of amazing I really do not know how they did it. EVA Air, tops in customer service. "stay away from the Hello Kitty"
Not Verified | Chicago to Ho Chi Minh City via Taipei. I have flown on EVA almost exclusively since 1997 and in all that time it was the first time I had flown on the themed Hello Kitty flight. I didnt care for it at all. The flight was still good but the pillows were not good, the spoons and such were plastic and looked they were for infants, and the plane seemed a bit old. It was all the more evident when we changed planes in Taipei and the other aircraft was much nicer. I plan to continue to fly with EVA but will stay away from the Hello Kitty. Not Verified | Fantastic airline with the best customer service ever! 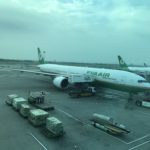 I had a problem with my reservation and the EVA AIR ground crew in Chiang Mai airport were so helpful and professional. They took the time to help me, I felt like they really cared about my situation and they solved my problem in less than 10 minutes. Thanks to the Chiang Mai ground team! 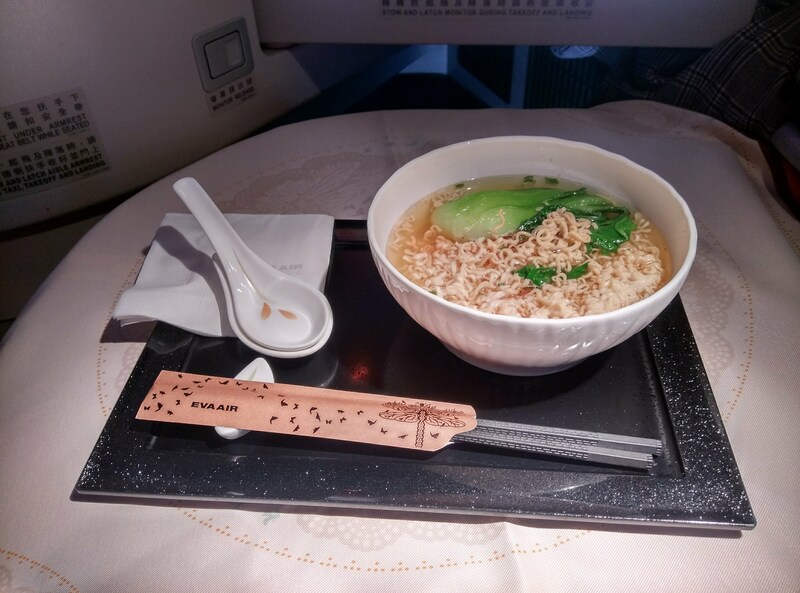 Plus, the flight was wonderful, the food was very tasty, the cabin crew were more than excellent and the plane was very clean.